P.S. - Normal life resumes from tomorrow, after 4 months of daily blogging! This is my 31st (last) post for 2013 Ultimate Blog Challenge. 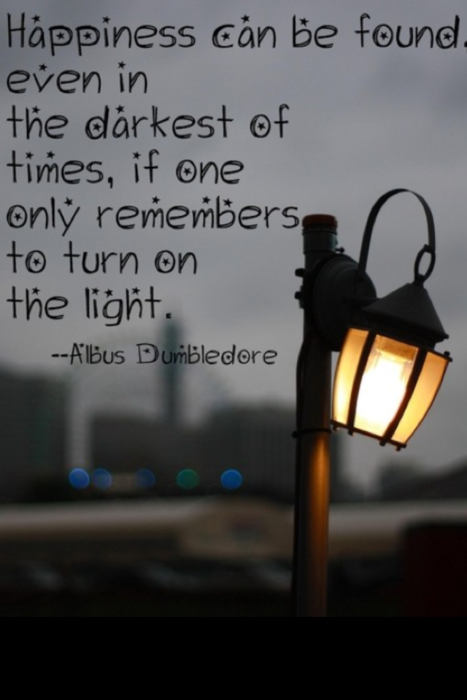 Link to the previous post: "Ten On Tuesday: 10 Favorite Harry Potter Quotes"
And it's another brand new Tuesday here! Time for a brand new "Ten On Tuesday"! Hope you enjoyed going through my 10 Favorite English TV Shows last week. This week, it's time for one of my all-time favorite books - the Harry Potter series. It is said that authors who connect with their readers the most, are also the ones who are quoted the most. J. K. Rowling is perhaps one of the most quoted authors I've read. Here are my 10 most favorite quotes from the her Harry Potter books. "There's no need to call me 'sir' Professor." "Death's got an Invisibility Cloak?" Harry interrupted again. "So he can sneak up on people," said Ron. "Sometimes he gets bored of running at them, flapping his arms and shrieking..."
"I don't believe it! I don't believe it! Oh, Ron, how wonderful! A prefect! That's everyone in the family!" "What are Fred and I, next door neighbours?" "Dumbledore says people find it far easier to forgive others for being wrong than being right." "Youth can not know how age thinks and feels. But old men are guilty if they forget what it was to be young." "What happened down in the dungeons between you and Professor Quirrell is a complete secret, so, naturally the whole school knows." There you go. Some funny ones and some thought-provoking ones. 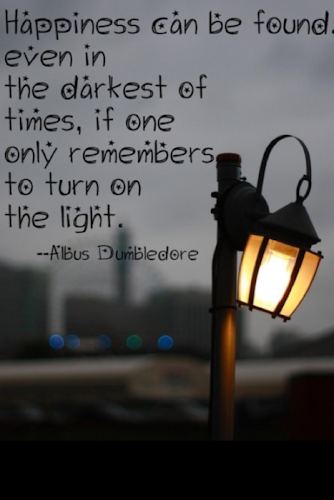 What are your favorite quotes from the Harry Potter series? This is my 30th post for 2013 Ultimate Blog Challenge. Link to the previous post: "When I Worked At DELL"
Those of you who have been following my blog for some years now must be aware of my 2-year stint in DELL technical support. I learnt a lot of things at that job, most important of which were patience and improvisation. I was in their voice support division, and we used to get calls from all kinds of people. Some were techie, but most weren't. In fact, I have personally taken a call where the customer used his CD drive as a coffee tray, spilled some coffee in it, and then called up support asking for advice! Now, the kind of warranty we dealt with required that customers troubleshoot with us on phone, and if any parts needed replacement, then a technician would go out to their place with the parts. But they HAD to do the troubleshooting on phone first, in order to identify if any parts needed to be replaced or not. 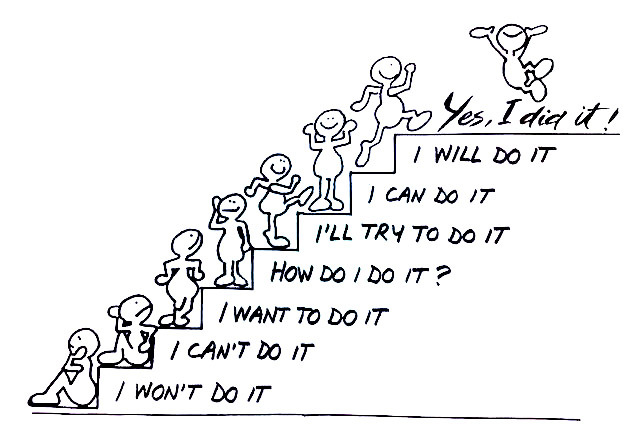 This step could not be avoided even if we had a 60-year old female on the line! I once got such an old lady on one of my calls, who, unfortunately, had to open her PC in order to do the "mandatory troubleshooting". She didn't have anyone to help her with it. On top of everything, she didn't even have a screwdriver to open up the CPU cabinet! These are situations when my natural calm and confidence take over. I automatically switch to a problem-solving mode. I start thinking out-of-the-box... improvising. I asked her if she had anything else that could be used to unscrew the cover from the cabinet... anything... even a nail filer. I don't know if she eventually used a nail filer, but my suggestion got her thinking, and she managed to open up the chassis somehow. By then, she was in an adventurous frame of mind herself. As long as I went slow and kept my instructions clear, she was able to do exactly what I asked her to. And she was over 60 years old! That's when I learned that with patience and a little creative thinking, you can demystify modern technology for anyone. And that lesson is coming in quite handy now... after all these years. I have a student on my hands currently, who has absolutely no experience with computers. Not only that, she's majorly scared... rather overwhelmed... by the whole thing. As a result, she couldn't even dare to learn how to turn it on! But she needed to have some basic computer skills for job purposes. So I had to design a customized course for her. And let me tell you, if it wasn't for my experience at DELL, I would have never been able to figure out how to make computers seem less scary to her! She's currently practising using the mouse, by the way. I found this cool website for her - http://minimouse.us - that has simple mouse games. I currently have her on the flying pigs one. It's really cute. Do check it out sometime. It's kinda like that old flash game we used to play a decade ago... was called "Eggs" or something. Do you remember it? This is my 29th post for 2013 Ultimate Blog Challenge. Link to the previous post: "Just Dragging Along"
First of all, I'm seriously behind my reading schedule on this UBC challenge. I've got so many unread posts in my feedly that I'll probably end up reading and commenting on them long after the month is over! That's quite okay with me though. I have a feeling that all my fellow UBC participants are going to take it easy next month. So all these "carry forwards" in my feed reader will give me something to read next month. Besides, I really don't like making a rush job of the reading and commenting part on my favorite blogs. So I'll get around to it when I'm in a state to genuinely enjoy what they've written. On top of everything, I'm also running out of ideas to blog about! Correction: I'm out of *short* ideas to blog about! Life got a bit busier than usual this month with other stuff... (i.e. the non-hobby stuff... the priority stuff!)... but that's how life is, right? It happens to us while we are making other plans. Anyway, since I don't have the time to pen-down my usual length posts, I'm on the lookout for topics that I can do justice to in few words, but, as I mentioned at the end of my second daily-blogging challenge here ("November 2010: Random Ramblings"), it is always more difficult to blog daily without a pre-decided theme in mind, or a set of fixed daily prompts (like in the case of those photo challenges I did in May and June). Good news is that the month is more-or-less over now. Just 3 more days left, and then I can plan how to celebrate my 800th post here. This is my 28th post for 2013 Ultimate Blog Challenge. 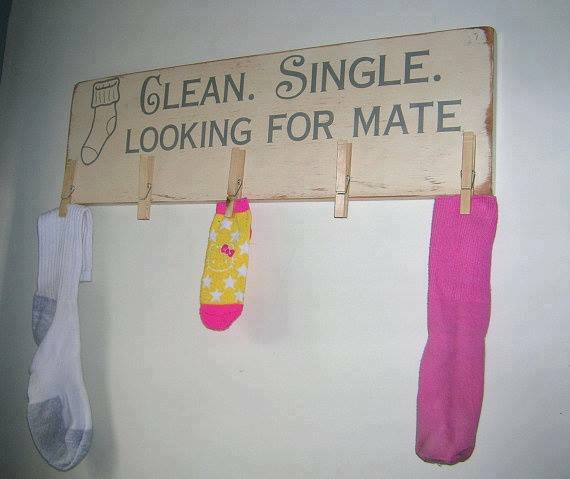 Link to the previous post: "Silly Saturday: Single & Looking"
This is my 27th post for 2013 Ultimate Blog Challenge. Link to the previous post: "Death"
He was visiting his Chote Baba with his parents. Chote Baba was the youngest brother of his own grandfather, but he didn't understand that yet. At 6.5 years of age, he only knew that this man was called "Chote Baba". They weren't the only visitors at Chote Baba's place this time. There were all the other Babas and Dadus there too, and all his Chachas... even "Bombay Chacha" and "America Chacha"... and his Chachis... and all his cousins. He was told that they had all gathered together there because his "Dadu" (great grandma) had died. "Died meaning?" He asked his Chote Baba. "Meaning she has gone to live with God now." His Chote Baba replied to him. He mused over it for some time. Next day, he took his Baba's mobile (i.e. his own grandfather's mobile) to his Chote Baba, and asked again - "Tell me one thing, Chote Baba... if I call Dadu's mobile number now, she WILL answer it, won't she?" Chote Baba showed him Dadu's mobile and replied - "How will she answer? See... her mobile phone is here only..."
Couple of days later, his Chote Baba asked him if he liked it here, with the whole family. He said - "Yes, I do like, but not that much, because Dadu is not here na." He didn't fully understand where his Dadu had gone, but he was clear about one thing... she wasn't coming back. Disclaimer: I've written this as a short story, but this happened in real. My grandma, Yuvraj's great-grandma, passed away a few days ago in Guwahati, where she lived with my youngest uncle (Yuvraj's Chote Baba). This was UV's first encounter with death of a loved one. I don't know what's going on in his mind currently. I have no idea how a 6.5 year old mind deals with such losses. This is my 26th post for 2013 Ultimate Blog Challenge. Link to the previous post: "What's My Blogging Personality?" Day 25 of "2013 Ultimate Blog Challenge" : What's My Blogging Personality? It still amazes me how these seemingly silly online quizzes manage to give accurate answers most of the time! Well, go on then... give the quiz a try... let's see what it says about your blogging personality. And don't forget to share your result in the comments below! This is my 25th post for 2013 Ultimate Blog Challenge. Link to the previous post: "Royalty Speaks"
You see, royalty isn't just about the family you are born into, or the kind of clothes you're dressed in, or even the kind of "throne" you sit on. Birth is just a matter of chance. What really matters is the person within you... your spirit. So what if this kid just has an ordinary sofa to sit on instead of a gold throne. So what if her designer velvet clothes have been substituted by simple cotton ones in this birth. Look at that spirit though... the eyes, the mouth and the attitude with which Her Highness reclines, expecting people to wait on her. Now that's what royalty is all about! You may take away the riches, but you cannot take away the royalty! This is my 24th post for 2013 Ultimate Blog Challenge. Link to the previous post: "Ten On Tuesday: 10 Favorite English TV Shows"
As promised in the comments of my previous Ten-On-Tuesday post ("Ten On Tuesday: 10 Pick-Me-Ups"), I'm listing my top 10 favorite English TV shows that were aired in India in the 90s. Which of these were in your favorite list too? Kevin Arnold takes us on a journey through his growing up years in the 60s in a typical American suburb, with his two siblings, parents, best friend Paul and childhood-crush-turned-girlfriend Winnie. This was one of the first English TV shows I saw, and I loved the whole concept of an adult Kevin narrating his early years. I was also impressed by the acting of the young Kevin Arnold. An American science-fiction TV serial, featuring the family of a robotics engineer, Ted Lawson, who creates a robot, nick-named Vicki, that looks like a real human girl, and then tries to pass her off as his own daughter. The highlights of the show: Vicki's monotonous voice, inability to display emotions, her "cabinet" in her "brother" Jamie's bedroom, and their nosy neighbor's daughter Harriet! 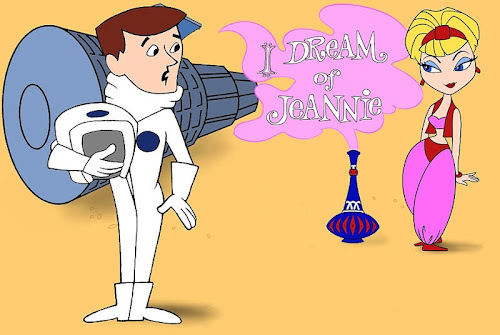 Another American TV show with the best fantasy concept one could ever dream of -- having their own personal Jeannie! Loved this show completely! Jeannie's impishness was so visible in her eyes, and yes the way she would blink her eyes to materialize anything, and how she kept getting her "master" Tony Nelson, in trouble, because of her over-eagerness to help! Hilarious! This was the first TV show adaptation of Hank Ketcham's comic strip by the same name, featuring the adventures of the child menace, Dennis Mitchell, and his usual victim - their next-door neighbor Mr. Wilson. I didn't watch it as regularly as the first three, but whatever I did watch, I liked it... especially Mr. Wilson! The story of a widowed millionaire from Manhattan, who adopts the two orphaned black children of his late housekeeper. I used to really like this show back then, but couldn't watch too many episodes of it (don't remember why now). So the images are not as clear in my mind. 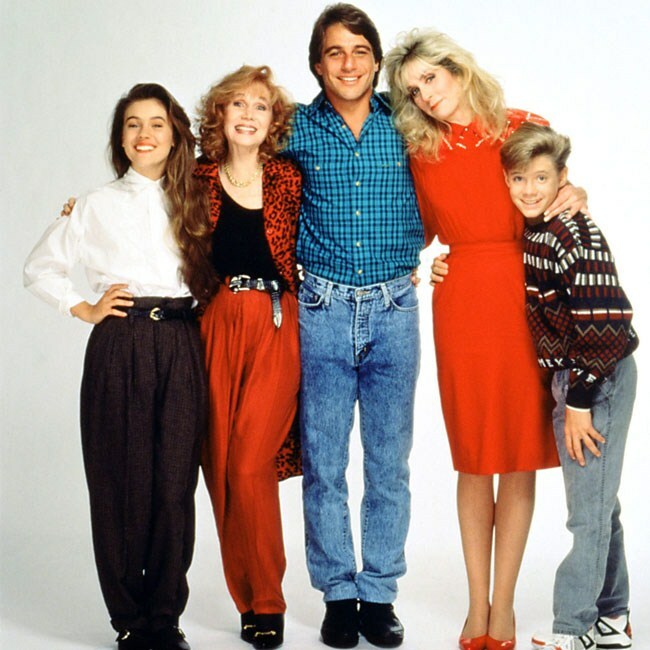 Danny Tanner raises his three little girls - D.J., Stephanie and Michelle - with help from his brother-in-law Jesse and best friend Joey. This was by far our most favorite English TV show! ("Our" meaning my sister's and mine.) We followed it for the longest time I guess. The girls were too cute... so was Jesse actually! LOL! :P One of these days, I'm going to hunt down the torrents for all 8 seasons of it, and download it all! The story of the 16-year old genius doctor, Doogie Howser, and his best friend Vinnie Delpino. If we have teenage guys in the show, we will obviously also have their girlfriends, right? So there are Wanda and Janine in the show. My favorite part of this show was actually Vinnie. And yes, Doogie's parents were perhaps the most sensible parents I have ever seen, even in fiction! I downloaded this entire series earlier this year, so I have watched it completely. This is yet another serial that my sister and I were crazy about. The entire concept of having a male housekeeper (and such a good-looking one too, sighhhhh!) was so novel that we fell in love with it from the very first day we saw it. Tony and his daughter Samantha, Angela and her son Jonathan, and the icing on the cake - Angela's man-crazy mother Mona Robinson! Funny and cute. I finished downloading and watching all 8 seasons of this show just before I started with the blogging marathon here in April. Ahhh! One of those fictional characters I had a serious crush on! And to think that he was originally a fictional character in the show as well... the fictitious "boss" of private detective Laura Holt, who one day, to the surprise of his creator, shows up in real! Couldn't watch this one for too long either, but it's on my to-download list... if only I can find an active torrent for it! An amazing British game show that, for some reason, didn't become quite as popular here, but I used to love it! It was a game show for the common people... no celebrities, no brainiacs, no physically-skilled people. Just common men and women. The puzzles were creative and stimulating, and most found me on the edge of my seat too. Richard O'Brien was brilliant as a host, with his harmonica and his "mumsie", and the theme music was so catchy, I still remember it after all these years! I have searched for this series for so long, but could only find two episodes! :( If any of you know where I could get the whole series from, please do let me know. Apart from these top 10 TV shows, there were a few more that I liked, but didn't follow as religiously as the above. Two of them were Blossom (1990 TV Series) and Bewitched (1964 TV Series). I wish they'd dedicate an entire channel just for showing the re-runs of these popular old sitcoms. Wouldn't that be just great? This is my 23rd post for 2013 Ultimate Blog Challenge. Link to the previous post: "Life Is Unfair"
It's one of those days when I don't feel like writing. Not that I've hit a creative block or something... I just don't feel like expressing my creativity in words today. Haven't you ever had a Monday when you wished it was already Friday? P.S. - If you like the "creativity" I pour out here on miss_teerious, please DO let me know at this link, via your Facebook account. Goodnight friends! This is my 22nd post for 2013 Ultimate Blog Challenge. Link to the previous post: "Mission Padhyatra: Bloggers' Walkathon"
Remember that post I published in May - "10 Truths About Bloggers"? I made an observation in that post about how so many bloggers are dealing with weight problems. Guess what! Earlier this month, this group of lovely female bloggers of India, who call themselves 'Indiblogeshwaris', came up with another daily challenge for us bloggers! And that "challenge" was to walk (or do any other form of exercise) for at least 30 minutes daily. Since I'm so addicted to daily challenges these days (been doing them one after the other every month since April 2013!)... how could I not accept this challenge? By the way, I love how these girls have organized this challenge. They have made a Google docs spreadsheet, which has a row for each participating member. We filled in our starting weight and target weight at the beginning. And each day has a dedicated column in which we fill in whatever exercise we did that day and for how long. At the end of every week, there is another column for updating our weight. So it's almost like having your own exercise group, except that we are all in different parts of the world and we exercise at our own convenience, i.e. the timings, form of exercise and duration of exercise, are all as per our individual preference and stamina. Yet, we are committed as a group. The girls even share their tips, experiences and useful articles from the net. 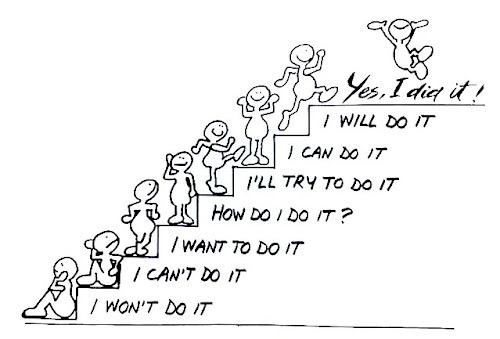 It is really motivating. 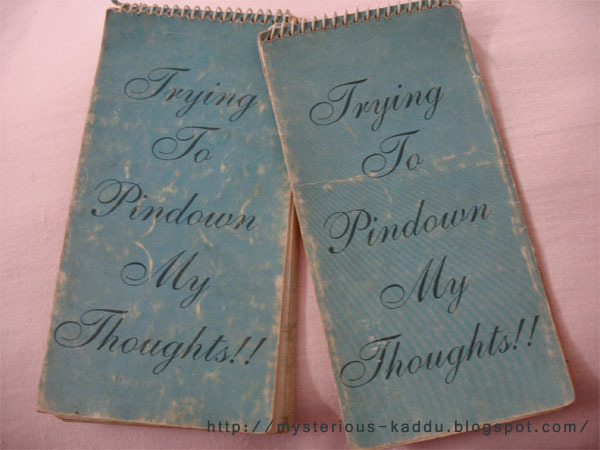 I probably won't be taking up any daily blogging challenge next month, but I sure do hope that this "Mission Padhyatra" continues indefinitely, because that's one daily challenge in the blogosphere that I WOULD like to take up every month! This is my 21st post for 2013 Ultimate Blog Challenge. Link to the previous post: "When I Blushed"
That's the theme for this week's WOW on blogadda, and I'm participating once again. So as I was saying, I'm not the blushing type personality. In my over 35 years of existence in this life so far, I can recall only two occasions when I have properly blushed, i.e. all the way through, and not mere feminine shyness. I will be sharing the first occasion here today. This happened in my school days. In class 12th, to be precise. 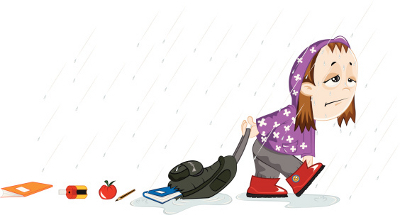 A day or two before the start of winter vacations, to be more precise. I was a force not to be reckoned with in those days. (I probably still am, I suppose.) I used to tease my friends (READ: "male classmates") left and right. We used to call it "chikaee". Silly word... I know. It suited perfectly for the kind of silly stuff we did. We'd recently finished with our half-yearly exams, and inter-house volleyball matches were going on. In short, it was a relatively relaxed atmosphere in school. Some of the other girls and I had just returned to our classroom after cheering for our respective volleyball teams. Lunch break had just begun, but all the lunchboxes had already been emptied out long ago... as is the story in senior classes of most schools! I was feeling very hungry. Ok maybe I wasn't *feeling* that hungry, but being the "drama queen" that I am, I was definitely *pretending* to be very hungry and trying to use feminine guile (that has always been non-existent in my case) to get some soft-hearted guy of my class to buy me a samosa or something from the school canteen. In short, I was just fooling around. I wasn't really expecting any of the guys to fall for my tactics... but someone did! AND he bought a chocolate for me from the school canteen! I know! I was more shocked than you are, but not at first. You see, initially, when that guy handed threw that chocolate bar to me, it didn't even register in my non-feminine brain that he had actually BOUGHT it for me! So when this soft-hearted gentleman gave me that Treat, I automatically assumed that one of the birthday guys or gals from the other section had given it to him, to pass on to me. I shouted across 3-4 rows of benches (he'd already reached his seat by that time), asking "Who gave it?" He gave a confused reply - "I did." I asked again - "Who gave it to you?" I thought maybe my voice wasn't carrying clearly to him over the din of the classroom. He probably thought I was dumb or something, or had suddenly lost my mind... completely! He replied back - "You said you were hungry...!" - with a big "question mark" on his face. And that's when lightning finally hit my addled brains! "He bought this chocolate for me because I was hungry!" ... and I blushed! A deep crimson red... right through my ears! She even noticed that... can you believe it! "Kaddu, your ears are soooo red!" I seriously wished I could disappear into the earth at that moment! Phewwww! Oh and I could never decide who I wanted to murder first... my bench partner or that guy who got that chocolate for me! Charles Darwin was so right. Blushing really is a peculiar phenomenon. It makes you feel so tiny and so... vulnerable! 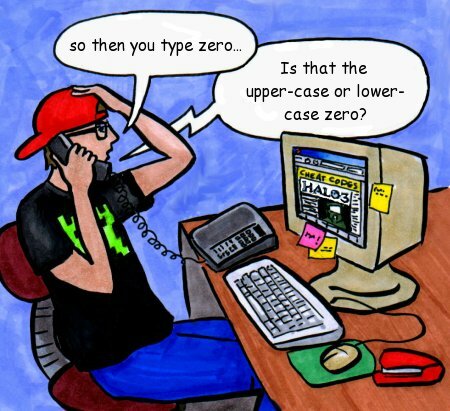 This is my 20th post for 2013 Ultimate Blog Challenge. Link to the previous post: "When I Was Reiki-ed By Kaddu [by Abhiroop]"
On my previous post "Sunday Slumbers And Thunders", The Little Princess left a comment, in response to which, I asked Abhiroop to share his experience of receiving Reiki from me, as a guest post here. He has obliged. So today's post is from him. Being Reikied by Kaddu is like being taken on a roller coaster ride with a drunk monkey at the controls. Kidding. I was frankly skeptical of the entire thing. I did not believe that you could make contact, let alone heal, another person from a distance, using nothing but your thoughts. I was seriously unwell last year. 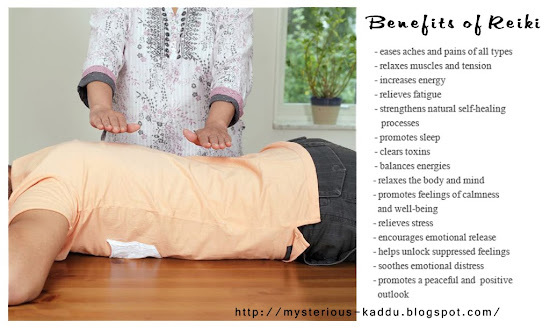 I was suffering from a whole litany of stubborn ailments and during an especially rough time, I turned to Kaddu, who was extremely kind to offer to perform Reiki on/for me. Gratis. Kaddu is a person I respect greatly for her straightforward, logical approach to things and if she's advocating Reiki, well, that's enough for me. Besides, she is practically family. The sessions began, an hour at a time, every afternoon. I would lie down in my room in Delhi and Kaddu would be in hers, 200 KM away. It was spooky. At the end of a session, we'd speak on the phone for a while and discuss how it went. I was repeatedly astounded by how she could accurately tell me which part of my body was, to her, receiving Reiki strongly, because it was, invariably, the same part I'd felt a distinct tingling, or even a mild stiffness in. What was even more surprising is how drowsy I would be at the end of a session. I am not one to take a siesta, have never been, but Kaddu's session would, I don't know, do something to me that just made me sleepy. We discontinued the sessions after a week as I had to go back to work. I did feel better. A significant bit mentally and some, physically too. While a part of me remains skeptical because I don't understand what was happening, the fact is that something did happen. There is definitely something in this Reiki thing. Whatever it is. This is my 19th post for 2013 Ultimate Blog Challenge. Link to the previous post: "Memorabilia-XIV: Why Do You Like Me?" Day 18 of "2013 Ultimate Blog Challenge" : Why Do You Like Me? More than 17 years ago, I asked that same question to all my friends in school - "Why Do You Like Me?" 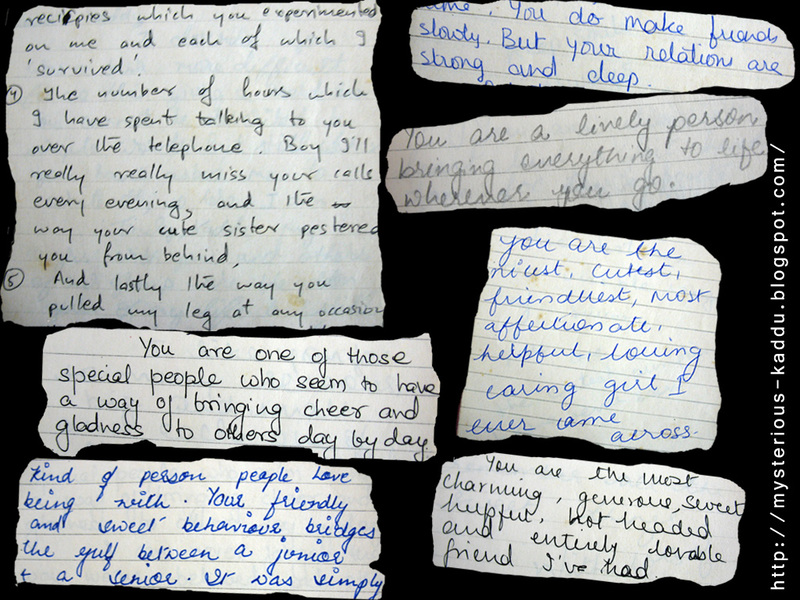 Just a month or so before we were about to pass out from school, when most students are usually bugging their friends about filling their "slam books", I was going up to each one of them individually, and shoving one of these spiral notebooks under their nose, asking them to write in it why they liked me! Some were amused, some were most irritated, I know! :P But, they all wrote something for me. And over the years, this collection of "testimonials" has traveled with me wherever I went. You can perhaps get an idea of how important these testimonials are to me, when I tell you that during our relocation to Jaipur, these two spiral pads were not sent in the truck along with the rest of our stuff. Instead, they came with me, in the bag holding the rest of our important documents (bank passbooks, passport, certificates etc.)! Yupp! You know why these handwritten notes from my friends are so priceless for me? If you're familiar with the verbiage of Harry Potter series, then you can best relate to these notes as a part of my very own Patronus-charm. These two pads are the ultimate pick-me-ups for me... the last resort... kind of like corticosteroids in the modern medical world. I take them out in those rare cases of extreme blues, when nothing else seems to work to lift up my spirits. Took pictures of some of the pages... parts of pages, rather... and made this little collage. If you find it difficult to read these notes here, you can simply right-click on the image and open in new tab to view it in larger size. So why am I sharing these with you today? Well, we're having our very first IndiBlogger Blog Awards this year (You know, just like the Filmfare Awards, Zee Cine Awards etc.?) and I have nominated my blog in the category of "Personal blogs". The nomination page has a Facebook comment box where our readers can leave testimonials for our blogs. These testimonials will not help me win anything, as they have an independent jury (with people like Rajiv Makhni, Gul Panag, Rashmi Bansal and Roshan Abbas) to judge the nominations, but they will inspire and motivate me like no award ever could! So please spare a couple of minutes to visit this link and let me know why you like my blog - miss_teerious! Whether you're a fellow blogger, or an email subscriber, or even if you just come here to play games! If you have an account on Facebook, please do let me know this once... whatever you like about this space. Is it the content, or the originality, or my writing style? Has my blog ever inspired you or touched you in any way? Do you find it easy to navigate and access my content here? Do you find it easy to connect with me and interact with me if you wanted to? You just need to leave your comment on this link via your Facebook account. That's all. This is my 18th post for 2013 Ultimate Blog Challenge. Link to the previous post: "A Decade Of Blogging"
Anyway, here's the part that's even more interesting. 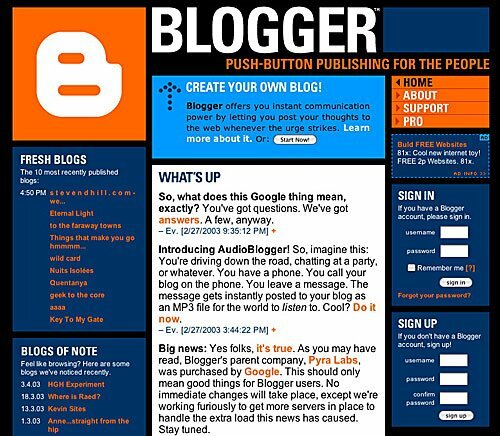 In February 2003, Google acquired Blogger. May 2003 saw the first release of Wordpress as a blogging tool. 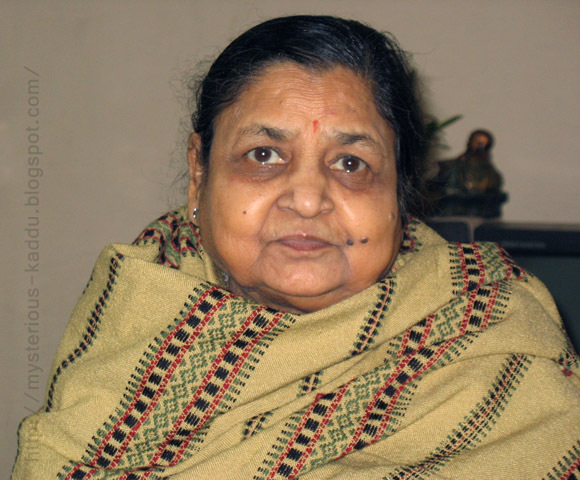 And in July 2003, Vidya Sury published her first post (on blogger) - http://vidyasury.com/2003/07/okie-folks.html! Do you realize that her blogging journey is as old as Google-Blogger and Wordpress themselves? This is my 17th post for 2013 Ultimate Blog Challenge. Link to the previous post: "Ten On Tuesday: 10 Pick-Me-Ups"
These were my top 10 pick-me-ups for those times when I have to lift myself out of the blues on my own. 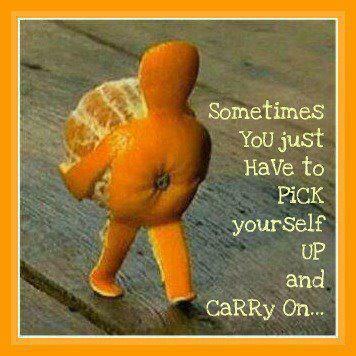 What are your pick-me-ups for such occasions? This is my 16th post for 2013 Ultimate Blog Challenge. 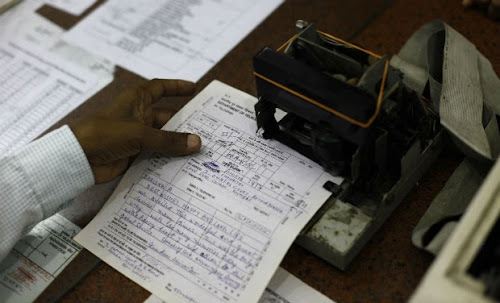 Link to the previous post: "When We Received A Telegram"
India bid goodbye to the telegram service yesterday, after more than 160 years. On this historical occasion, I'm reminded of the one lone memory I have of the Indian telegram service. Must share it here. No, that image is not of an Indian telegram. You can see the British crown in the header. 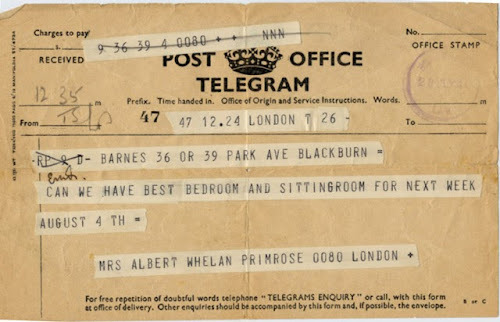 I decided to use this image for my post, only because that's how our telegrams looked like back in those days when this incident happened. I'm not sure of the exact year, but it was definitely in the mid 80s. We lived in Kanpur back then. One fine morning, the doorbell rang, and Dad opened it to find his younger brother (who stayed in Patna) standing outside. Dad was obviously surprised at the sudden visit. We all were. Looking at our faces, my uncle seemed even more surprised! "I did send you a telegram that I was reaching today." Yupp. You guessed it. We never got the telegram. Nevertheless, we were happy to have him visit us. There were a lot of family talks, and yes, food too. And chocolates for my sister and me. This is my 15th post for 2013 Ultimate Blog Challenge. Link to the previous post: "Sunday Slumbers And Thunders"
Yupp. The title says it. "Sunday Slumbers And Thunders". That's all that happened today. Woke up late. Like really late. 9 am-ish. Spent a lazy hour replying to all the pending comments on my blog. Pottered about in the kitchen and managed to put something together for breakfast. Then Dad asked me if I would file the IT returns online today. I looked up at him, all groggy and confused. Just then, a huge yawn escaped from my mouth. Dad got the message. I was in no state to do the taxes today. So I tinkered with my blog a bit. Discovered that the twitter feed was not showing up on the Twitter page here. Research showed that the twitter api has changed recently. Previously, there was a blogger.js script, but now there is a widgets.js script instead. I updated the code on my page accordingly. I like this one better now. You can even send me a tweet directly from this page now. And it shows my retweets too. So I won't have to do manual RTs anymore. In case you are wondering, yes... I was able to tinker with the code even in my half-asleep state. How? I don't know. I guess I'm just talented that way. Anyway, this blog-tinkering didn't last for long. The "thunders" came into picture here. And they brought some rain too. If you are living in India, or have ever lived in India, then you probably have first-hand experience of this. The slightest downpour in India is sufficient to cause power cuts. That's what happened here too. Power cut. Since I could no longer work on my PC, I decided to use the time to do some Reiki. I actually ended up doing quite a lot of it today, courtesy rain gods and Jaipur electricity board. The rains continued off and on throughout the evening. So did the power cuts. Three healing attunements and over 2 hours of Reiki healing sessions done already today, for different recipients, of course. I even managed to catch up some more on my beauty sleep in the evening! And I'm still sleepy... can you believe that? This is my 14th post for 2013 Ultimate Blog Challenge. Link to the previous post: "Be Free. Be You." 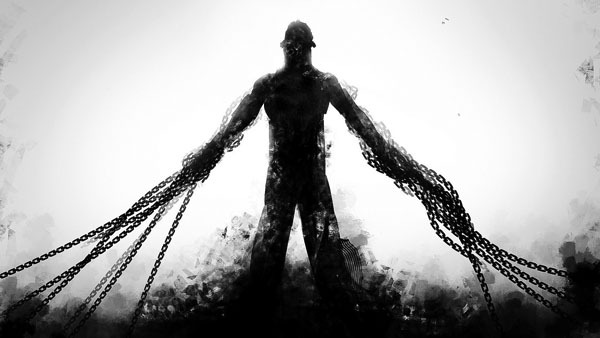 Day 13 of "2013 Ultimate Blog Challenge" : Be Free. Be You. I see people all around me trying so hard to please others... parents, husband, wife, relatives, boss... the list goes on. We Indians are especially experts at this. It has been ingrained deep into our psyche that we must be the prodigal son/daughter, the perfect husband/wife, generous like "Karna", hospitable like "Sudama" and what not! So, in short, an average Indian has to first repay the "debt" that he apparently "owes" to his parents for bringing him into this meaningless world, and for fulfilling (or not!) their duties as parents. Then he has to make sure he doesn't do anything that challenges his "society" to think beyond its established norms. Once married, he also has to fulfill the demands of his wife, who is most likely chosen by his parents, based on her compatibility with their "society" and not with him. In case of females, she has to live up to the expectations of her in-laws and extended in-laws too. Then, of course, there are those endless obligations towards relatives, and their relatives, and sometimes even their relatives. Phewwww! After working so hard to please soooo many people, if someone still has any energy left, then he can finally try to do a few things that he enjoys! In this whole process, however, we forget one very important thing. You see that image above? That's the basic atomic structure we all learnt in high school Chemistry. 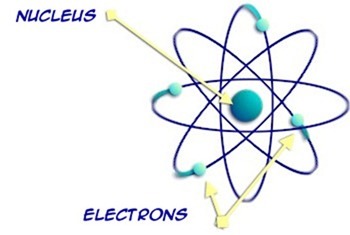 In the center is the nucleus, and moving all around it are electrons. The electrons can come and go, but the nucleus must remain steady. We forget that we are that nucleus. In being a good son/daughter, husband/wife, relative/friend, we forget who we were meant to be, who we really are. After all, each one of us is different... each one of us is an individual. So remember... you may become a good son, a good husband, a good father, a good role model in society, but what really matters is "were you a good YOU?" Sort out your priorities. First, be true to yourself. Be free. Be what you're meant to be. Be the best possible YOU. And then do the best you can for your parents, and everybody else. This is my 13th post for 2013 Ultimate Blog Challenge. 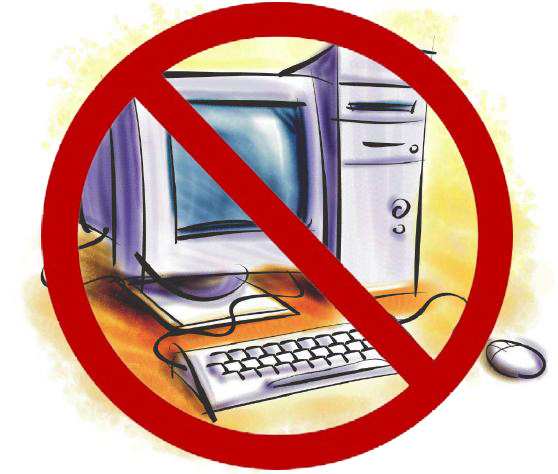 Link to the previous post: "A Day Without Computer"
Would you believe it if I told you that I spent one whole day without my computer? That I didn't even sit in front of my PC for full 24 hours? Unbelievable as it may sound, it is true. I logged off last night, after publishing yesterday's post and sharing it on Twitter and Facebook, and logged back in only now! If I wasn't doing this round of daily blogging, I probably wouldn't have bothered turning on my computer at all today! Anyway, I can't do one of my typical-length posts again today. Sitting on this chair is making my backache even worse. So I'll just share some of my favorite posts from the archives. This is my 12th post for 2013 Ultimate Blog Challenge. Link to the previous post: "I've Got Mail!" Day 11 of "2013 Ultimate Blog Challenge" : I've Got Mail! 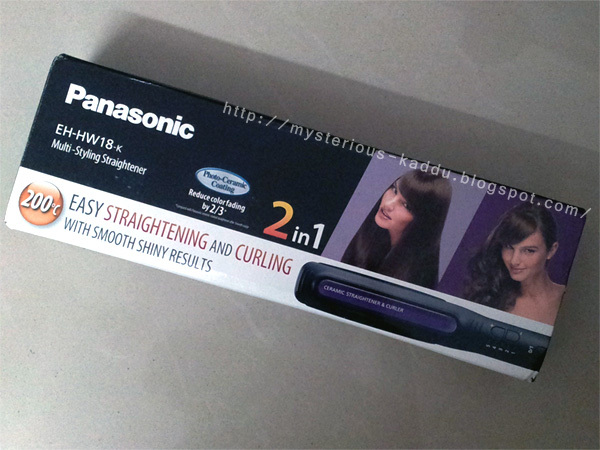 My brand new Panasonic Hair Straightener! Yes, yes! The very same one that I won in the TRESemmé Ramp Ready Hair Contest! For my Ramp Ready Hair! And it's not just a straightener... it's a 2-in-1! It can be used for both straightening and curling! Isn't that cool? This is my 11th post for 2013 Ultimate Blog Challenge. Link to the previous post: "The Wackadoo Meme Part I"
1. What age is your youngest aunt? 2. Do you miss someone right now? 3. What can you see North West to you? Woah... hold on a minute. what's North West? I'm a bit rusty with directions. North West to me? Or North West according to the compass? I'm confused. I guess I'll pass on this one. 4. Do you like bowling? 5. Can you pronounce Italian words? I can pronounce 'pasta', and I can pronounce 'ti amo'. Those are Italian, aren't they? If they are, then yes, I can pronounce Italian words! 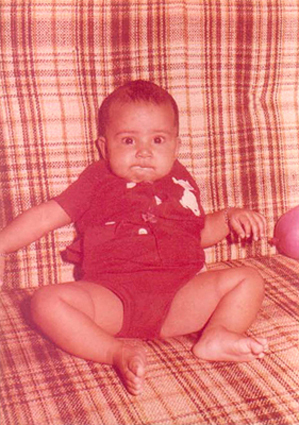 :D By the way, Vinnie Delpino was also Italian. What! You don't know Vinnie Delpino ??? :O :O :O You MUST check that link on his name then! 6. Do you prefer black or beige colored jackets? Ummmm... both are good actually. Why? Are you going to gift me one? 7. Do you own a hoodie? Yupp... my "lifesaver" in winters! Can't imagine what I'd do without it! 8. Do you like roasting marshmallows on a bonfire? I have never even seen a marshmallow, let alone holding one in my hand and roasting it on a bonfire! I do know that they're quite a hit, with both kids and adults, in some other parts of the world. The first time I heard of them was in the movie The Holiday. I quite enjoyed that movie, by the way. 9. Do you like cheesy puffs? Not really. I mean, 3-4 pieces are okay for a change, but I'd rather have our Indian pakodis with coriander chutney instead! 10. What's your name without vowels? Chcky Kdmbr, a.k.a. Kdd. Same as a marriage without love... meaningless. 11. How many layers of clothing are you wearing? This question should have been put up in winters! In summers, there can only be one answer... "one too many"! 12. When was the last time you got a take away? What did you have? Can't really remember now. We avoid take away food in the scorching summers here. Take away is good in winters... samosas, jalebis, spicy kababs.... yummm! Winter is the season for satisfying all your food-related fantasies! 13. If you could climb any mountain or range which would you choose? If it is already given that I COULD climb ANY mountain or range, then obviously, I'd pick the most dangerous one, wouldn't I? 14. Do you alphabetically arrange anything in your room? What? Nope. Nothing at all. Not just in my room... I have nothing arranged alphabetically in my entire house! No wonder I'm never able to find anything! 15. Have you ever visited fat-pie [dot] [com]? 16. Do you prefer sweet or sour fruits? 17. Do you like Flo Rida? Which song of his? 18. How are your dancing skills? 19. What is your favorite number? 2... because my birthday is on 11th. 20. Describe your best friend to me? 21. What is your favorite alcoholic drink? Well I don't really have that much experience with alcoholic drinks yet to pick favorites. I don't think ANY of them would ever become my favorite though, considering that I don't even like soft drinks! 22. Do you do like any sports or have you done any sport professionally? Video games and computer games probably won't qualify as sports, right? Apart from them, I did enjoy playing badminton in Kanpur. 23. What is your ringtone? Different ringtones for my regular callers. Common is the Mission Impossible theme music. I prefer to chose loud ringtones, because when I'm at home, my cell phone is usually lost somewhere. So, loud ringtones make sure I don't miss calls. When I'm out and carrying my phone on me, then I usually keep it in vibrate mode. 24. Do you like chilli flavored chips/crisps? 25. Do you curl or straighten your hair? 26. What's the nicest smell of shampoo? Eh! You want me to describe the smell of shampoo? I'm not a perfumer, you know, though I do have a friend who is one. 27. What smell turns you on? How about turns you off? Definitely Old Spice original. After all, I grew up with it! As for turn offs, I hate the stink of a drunk person. I also hate the smell of that chewing tobacco that a lot of people in the labor-class section of our society use. 28. Who's your favorite comedian? Ummm... no favorites really. It all depends upon my mood. Woah! It is simply not possible to choose one type of food over the other and one type of music over the other! Besides, it's an individual thing... the overall composition of a particular track. I may love some RnB tracks and completely hate some others. Same with Reggae or Jazz or whatever. This is my tenth post for 2013 Ultimate Blog Challenge. 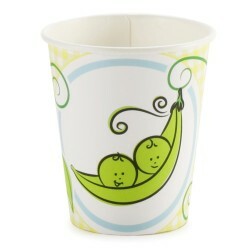 Link to the previous post: "Two Peas In A Pod... Or Not"
This post is inspired by Kaneenika's recent post (http://over-cup-of-tea.blogspot.com/2013/07/ubc-4-compatibility-factor.html) on compatibility factor in relationships. While hers is specific to man-woman relationships, I'll share my views in a broader sense... i.e. for all kinds of relationships. So do we really need to have common likes and dislikes for a relationship to blossom and grow strong? To some extent, yes. I mean, it would be great if you could have animated conversations with each other, about topics of mutual interest. At the end of the day, though, what's more important is, as Kaneenika says in her post, to know and understand each other's likes and dislikes, irrespective of whether you like the same things or not. For example, back in the late 90s, my sister was absolutely crazy about Shahrukh, Salman and Bobby Deol (complete with his long French-poodle hair! ), while I only had space for Aamir Khan in my "celebrity-crush" zone! I religiously continued to pull her leg about the 3 actors, never let go of any opportunity for teasing her! Yet, I was the one who bought posters for her, of those same 3 actors, during my college-bunking sprees! In short, what I'm trying to say is that *that feeling* is more important for any relationship... that you care enough for each other to remember what each other likes and dislikes... than having common likes. That and how much that relationship matters to you. If it doesn't, then any tiny excuse will be enough of a reason for you to part ways. But if it does mean something to you, then you'll simply overlook little stuff, avoid doing things that the other person is sensitive about, and go out of your way to do things that the other person particularly cares about. After all, a relationship is only as good as how much you're willing to invest in it. So, just like business ventures, choose your relationships also carefully, and then invest into them whatever you've got. Don't hold back anything. And don't just sit back and expect things to become perfect on their own. Remember: it takes two to tango. This is my ninth post for 2013 Ultimate Blog Challenge. 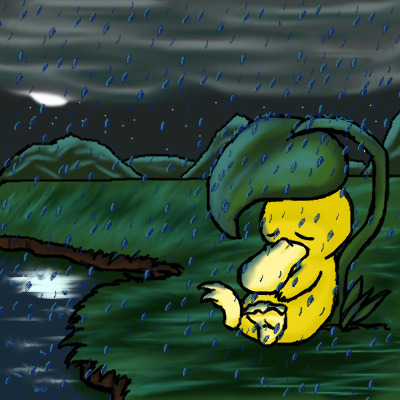 Link to the previous post: "When Heavens Turn Gray"